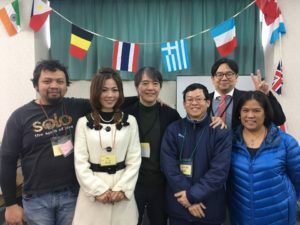 Find the article written in English is below. 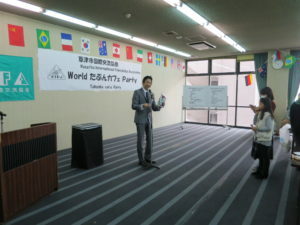 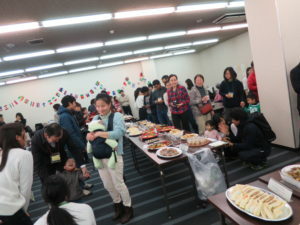 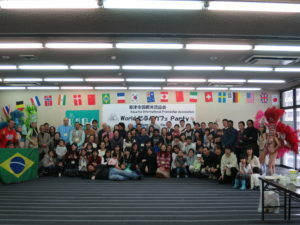 On January 15th, we have held “Tabunka-Cafe Party” at Kusatsu-Machizukuri-center. 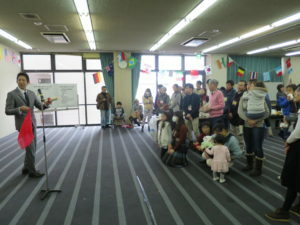 We were very glad that we had a lot of guests, even though it was snowy and very cold day. 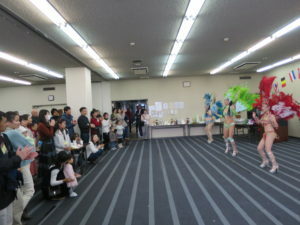 We appreciate for your coming!! 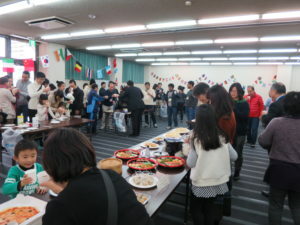 On the table, we prepared internationl dishes ,Nepali, Peruvian, Italian,English, Spanish, Korean, Chinese and Japanese dishes. 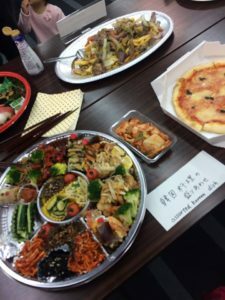 Dishes from 8 contries!!! 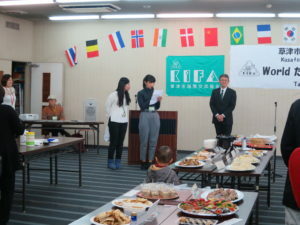 Those dishes are from restaurant in Kusatsu, except for Peruvian dish. 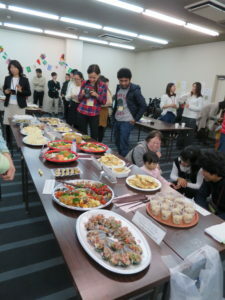 Mrs.Debora made 4 Peruvian dishes at the Kitchen in Machizukuri Center. 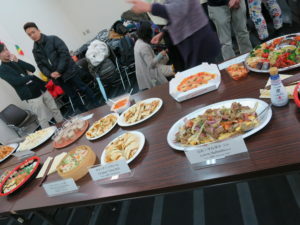 Every food was very beautiful to look at and very delicious to eat!!!!! 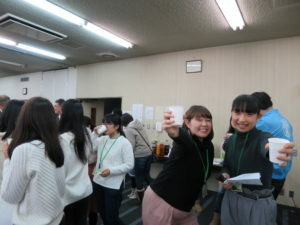 All food on the table has disappeared so quickly. 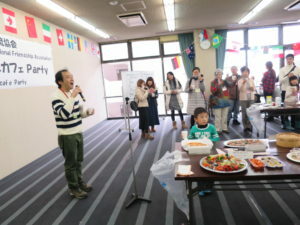 We are very glad it showed the dishes we had prepared was liked by the guests. 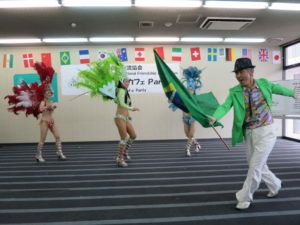 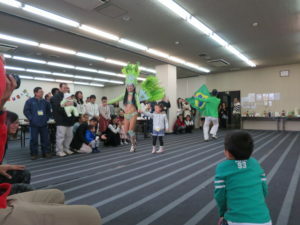 We also enjoyed magic show and Samba dance show. 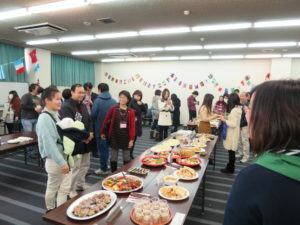 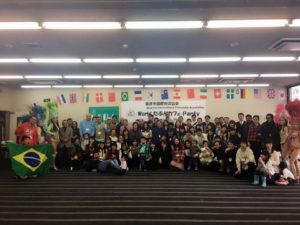 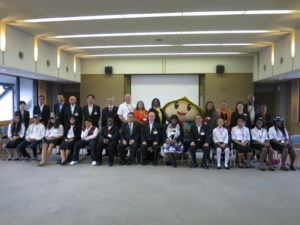 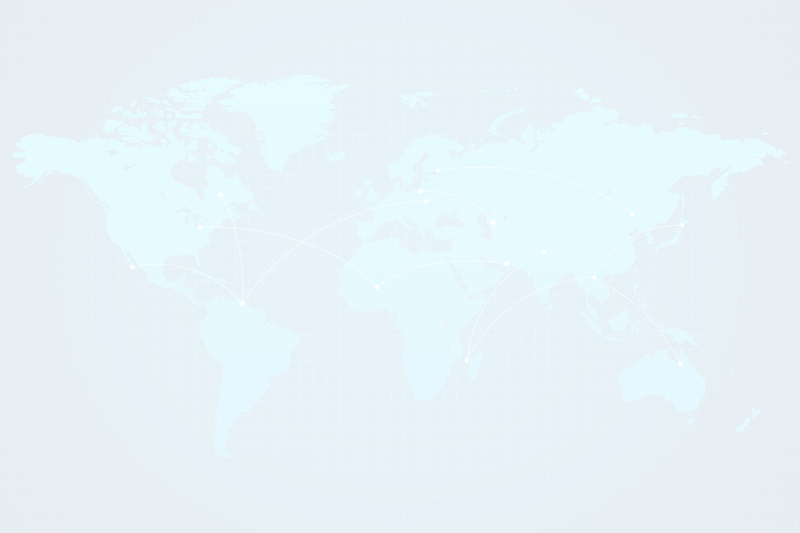 We believe guests from many countries of course including Japan could make friends each other.